As fate would only have it, a reminder of what it is to have a fire that does not make a building pancake on its own footprint as were world trade center twin towers and building 7. A tragic and real but true, so a most unfortunate event to free-mason attention merchants wanting the focus to be on the recent hoaxes in London. Manchester Arena Hoax : Where is the evidence? Not even fake evidence. Several hours after the event only a few videos have surfaced on social media trying to find the location of the explosion but nobody finding it. We need to believe that the ratio of death to wounded is that of an aircraft crash with some survivors. The ratio of explosion deaths and injuries at crowded places is about 1 death to 10 wounded. We also need to believe that the few videos that show virtually everyone holding on to their mobile devices didn't find the location of the explosion. 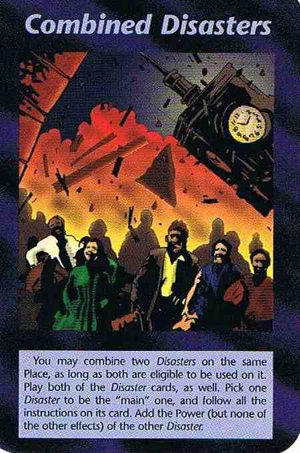 The London Combined Disasters Illuminati Card game appropriately shows the correct time of the combined London Parliament terror attacks but only 22 years earlier: The card game was released in 1995, and it is by far not the first time these cards have played a trick on our minds. Of all witnesses none took immediate (reasonably good quality) pictures at the crowded events and not one is leaked many hours after the attacks. Pedestrians, passengers in the buses, even in Mexico good quality pictures and even selfies abound in situations that don't even merit uploading, let alone graphic footage leaks on the deep web. Most truth loving websites are by now too embarrassed and bullied to call a hoax too early, perhaps as a genuine concern for their reputation and prudence. But here I wonder, even I, traveling in France, heard on the radio a red alert for terror attacks minutes before the event. Really? Broadcasting continent wide threats just minutes before the event? This obviously fake event on March 22, 2017 at the Parliament in London is also a spring equinox ritual anniversary of the March 22, 2016 false flag terrorist attack in Belgium. Stayed tuned for a retraction and apology, if ever, it will be the first after consistently calling many for what they are for many years first, not with pride, but with horror; the not-faked horror of seeing this kind of lying and mostly successful maintenance of the zombie population in a small remnant group of those who even care anymore. NIST employee from 1997 to 2011 of the National Institute of Standards and Technology (NIST) Peter Michael Ketcham confirms 9/11 official investigation was a cover-up on a AE (Architects for 9/11 truth) presentation.